That is the reason why you do boring crunches in the rare seconds of your free time and these don't seem to be working. 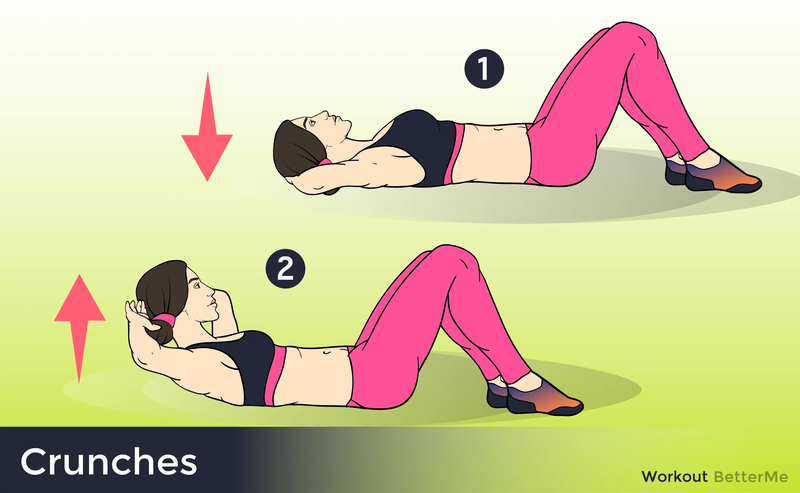 If you want to get a flat belly, you should perform exercises other than crunches, as these can get boring and lead to back problems. - Once your upper thighs are parallel with the ground, pause, then drive your hips forward to return to the starting position. - Get into position by placing your hands flat on the floor, directly below your shoulders. Extend your legs out behind you, with only your toes and balls of your feet touching the floor. 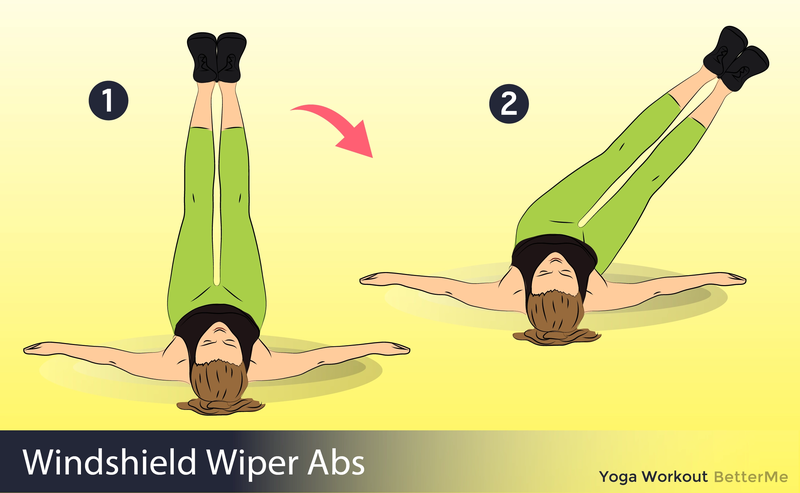 - Hold your body up and keep your back straight by tightening your abdominal muscles. Your neck and head should be bent slightly back. 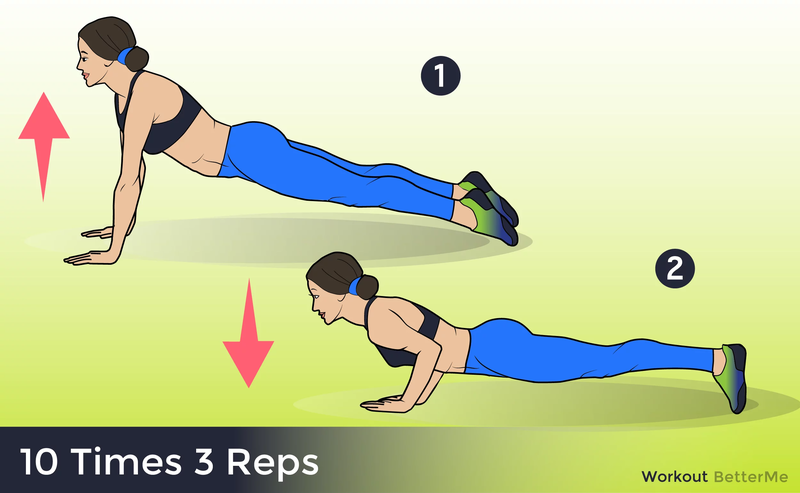 Lower your chest towards the ground by bending your elbows until your chest is just above the ground or you feel a stretching of your chest and shoulders. Hold for a count of one. - Stand with your feet together, arms fully extended with your hands by your sides. This is the start position. Bend your knees slightly then straighten and push through the balls of your feet while straightening your your knees to jump up spreading your legs to wider than hip width apart. - As you do so, raise both arms out and up in a smooth arc until your hands meet above your head. As you return to the ground, bring your feet together and your hands back to your sides with your arms fully extended. - Standing with a braced core and flat back, bring your hands together at chest height. Position your feet to be at hip-width. - Beginning with the right foot, step backward and across your left foot. Simultaneously, bend the left knee and drop it towards the ground. - Stop when the front right knee is parallel with the ground. Push off the ground with your right foot and return to the starting position.